Netley Marsh Steam Rally, a photo by Davidap2009 on Flickr. 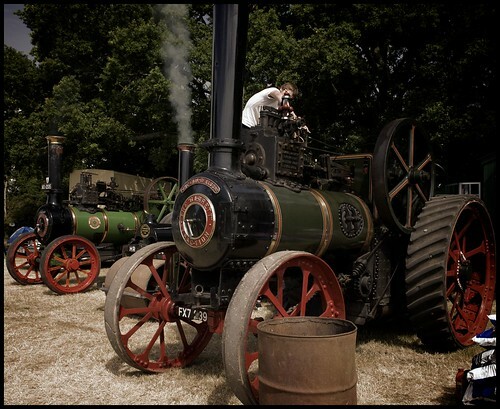 While on my holidays I attended Netley Marsh Steam Rally where steam interested people gather in awe over all these wonderful old steam traction engines ,vintage cars and motorcycles. A great day was had by all and today and on following days I thought I’d share some of my faves from the day. 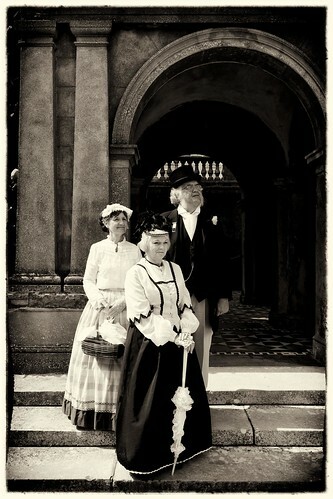 Victorian Strollers II, a photo by Davidap2009 on Flickr. 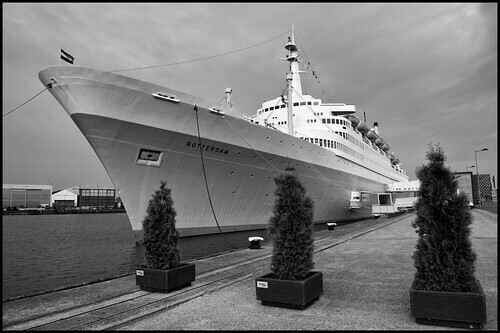 SS Rotterdam, a photo by Davidap2009 on Flickr. he fifth SS Rotterdam, known as “The Grande Dame”, was launched by Queen Juliana in a gala ceremony on 13 September 1958, and completed the following summer. The Rotterdam was the last great Dutch “ship of state”, employing the finest artisans from the Netherlands in her construction and fitting out process. Her career spanned forty-one years. She sailed from 1959 until her final retirement in September 2000. 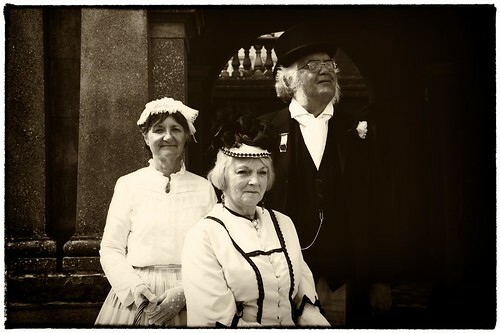 Victorian Strollers, a photo by Davidap2009 on Flickr. 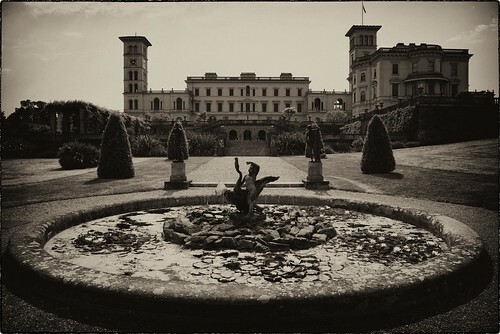 Osborne House, a photo by Davidap2009 on Flickr. No.It’s not where Ozzy and Sharon live. It was our next port of call on the Isle of Wight. No, the title isn’t a mistake. Let me explain. I have some under used Hasselblad lenses. I know it’s a shame. They just don’t get used and have been idle for a while. My all time favorite lens, the one I’d like if I only could have one lens is the Carl Zeiss 110mm f2.0 FE. I want to use it a lot more than I do of late. This leads me to the heart f the matter. While on holiday I purchased a Hasselblad to Nikon adapter (Fotodiox) through Amazon UK so I could get more use from the glass I have. This wonderful piece of engineering (Comes complete in a faux velvet bag.) 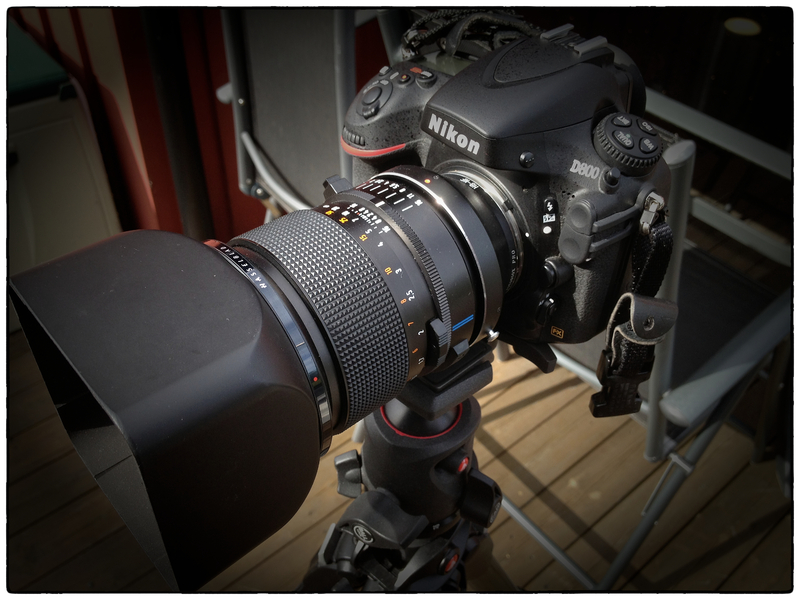 turns my Nikon D800 into a digital Frankenstein of a camera. Big and, rather odd-looking. I was worried about the strain on the lens mount but the combo doesn’t weigh a lot more compared with the 24-70 I have on the body usually. I haven’t seen or felt any problems as yet. The adapter comes with a tripod mount I however have only used the combination handheld. The Carl Zeiss 110 f2.0 mounted on my D800 via the Fotodiox adapter. I set up the lens in the onboard database for non-CPU lenses the nearest focal length was 135mm. This helps the camera with light measurement and aperture value. Well it would if there was a mechanical aperture connection between adapter, and body, which there isn’t so I’m not sure if there is a point. Stop down the lens to meter you have focus confirmation if needed in the viewfinder. And take your shot. But that’s enough talk. Here is what you get. This is a quick shot I took of my daughter before she went skateboarding. This has just been converted to black and white with just a little vignette added. Remember this was handheld. 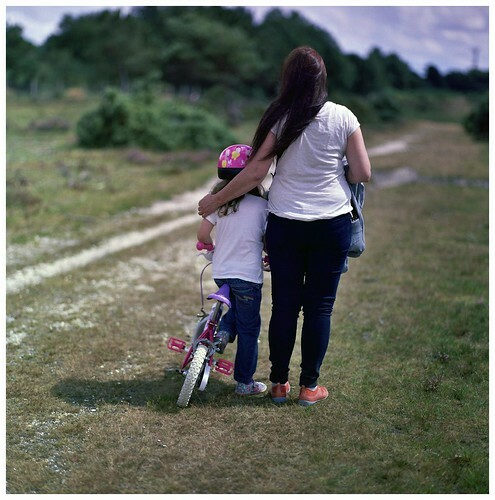 Alum Bay III, a photo by Davidap2009 on Flickr. The cliffs here are mostly crumbling sand of varying colours. I thought I’d try to bring this out in black and white. Let me know what you think. 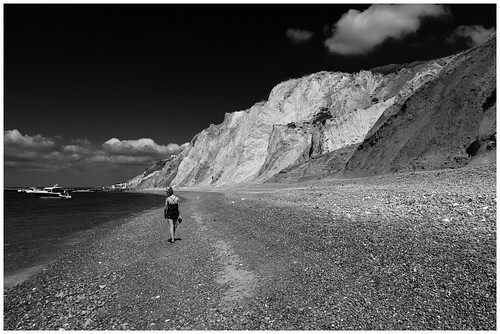 Alum Bay II, a photo by Davidap2009 on Flickr. Second in the series.For those interested. 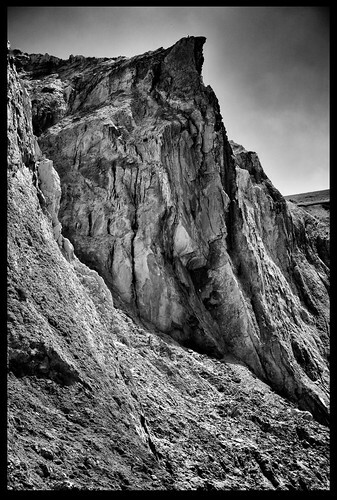 I have darkened the sky to bring out the dramatic light on the sandy cliffs. I had forgotten my polarising filter that day so in Aperture I selected the blue colour in the sky, removed the luminance and added a little saturation in the colour version .I then added the red filter effect using Silver Efex pro 2. 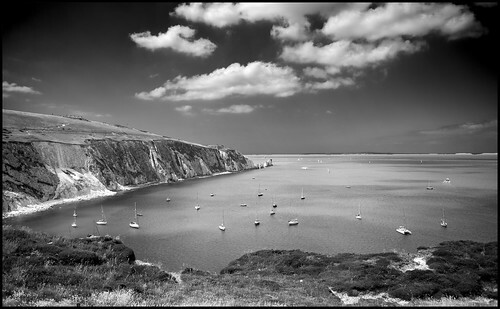 Alum Bay, a photo by Davidap2009 on Flickr. One of the places I visited on my holidays was the Isle of Wight. Thats that small island you see in the middle of the south coast of England.This viewpoint ,which was packed with people, looks out to the Needles which is that jagged formation to the left. In the distance you can see the mainland. Helping Hand (Colour), a photo by Davidap2009 on Flickr. I like the colour version just as much as the black and white. Although I mostly am a black and white kinda guy I thought I’d share this shop scan with you. I’ve just added the frame.